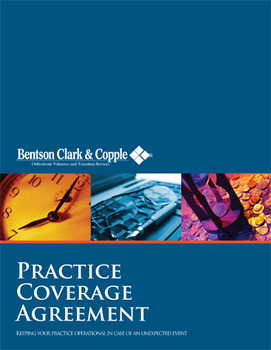 This practice coverage agreement package is created for individual doctors. For established coverage groups or an assembly of up to 10 doctors who are seeking to create a coverage group, click here to view the coverage group package. A one-year subscription to the Bentson Copple reSource, Bentson Copple & Associates' business­ oriented quarterly newsletter ($95 value).